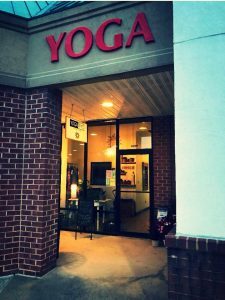 Whether you are new to western Loudoun, just getting into yoga/barre or looking for a new studio in the area, Yoga Time Studio in Purcellville is a great place and one I highly recommend! While I’m obviously a little bias, I recently went through the process of moving here and I am very glad I found Yoga Time Studio for a variety of reasons. I (like I am assuming most people who are new to an area) started my search on Google. I found a handful of different options and did some research on each of them. When comparing my different options, I ultimately chose to go to Yoga Time at first for three main reasons: location, the variety of classes and the value. The second thing I liked about Yoga Time Studio was the fact that it not only offers a wide variety of yoga classes ranging from deep stretch and slow flow to power vinyasa and Ashtanga, it also offers Barre classes a variety of times each day and throughout the week. This variety in classes and the option to practice yoga and barre at the same studio was something I really appreciated. 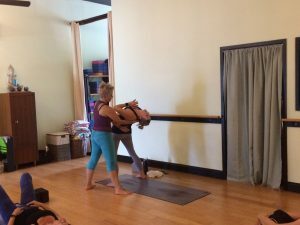 Yoga and Barre are such a good compliment to each other and a yoga studio that offers both is harder to find. The third thing that made me choose Yoga Time Studio (and honestly probably the main reason ultimately) was the price. Not to sound cheap (although, let’s be honest, money is an important thing to consider) yoga can get EXPENSIVE! As someone who doesn’t have a ton of extra money laying around, the cost of a yoga studio is defiantly a factor I needed to consider. When doing my research I found that the Yoga Time Studio packages were the most reasonable and best value out there. Even better, there was a 2 class new student package for $22, which I did at first. No matter what package you ultimately decide to purchase, I think you will find that you are getting a lot of bang for your buck! So that’s why I decided to go to Yoga Time Studio in the first place, but why did I decide to keep coming back and buy a bigger package? EVERYTHING! Yoga Time studio recently moved into a new space, which is beautiful and super inviting. The ceilings are high, the lighting and sound system is great, the atmosphere is calming and invigorating at the same time – it’s just a great place to be! The instructors are wonderful – friendly, welcoming and encouraging. If you have questions, or need extra support and/or modifications for postures they are there to help and guide you through the process. The classes challenge me physically, mentally and spiritually and I always leave feeling better than when I came in, the sign of a truly great workout. As someone relatively new to both Barre and Yoga, choosing Yoga Time Studio has been a great experience so far and something I defiantly plan to continue to do in the future.